Synthetic peptide within Human alpha Internexin aa 400-500. The exact sequence is proprietary. Our Abpromise guarantee covers the use of ab40758 in the following tested applications. WB 1/5000 - 1/10000. Detects a band of approximately 60 kDa (predicted molecular weight: 66 kDa). 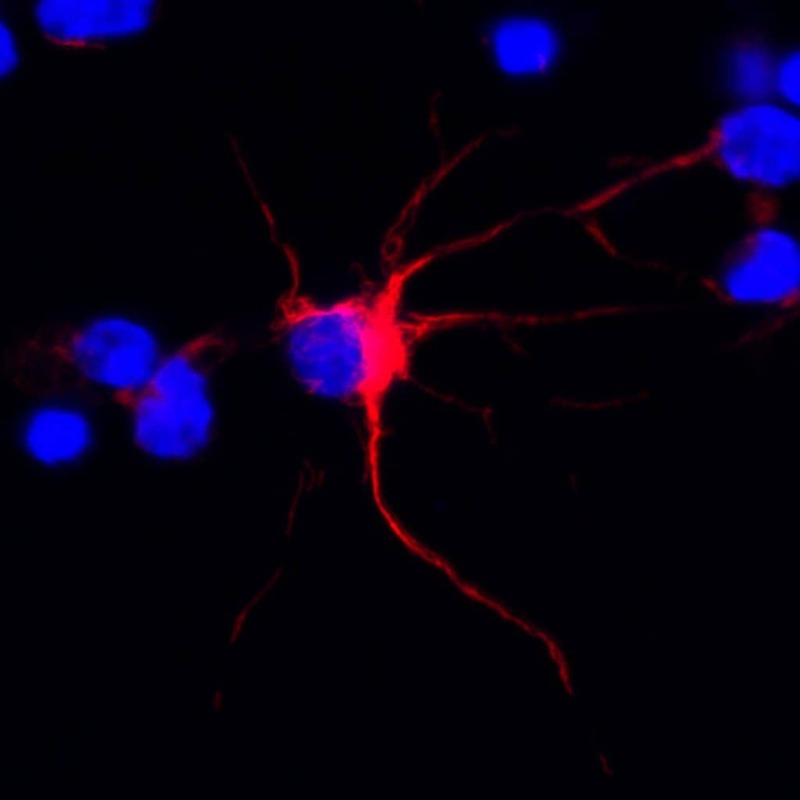 ab40758 staining alpha Internexin in rat brain tissue sections by Immunohistochemistry (PFA perfusion fixed frozen sections). Tissue samples were fixed by perfusion with formaldehyde, permeablized with 0.01% Triton X-100, blocked with 5% serum for 2 hours at 4°C and antigen retrieval was by heat mediation in citrate buffer. The sample was incubated with primary antibody (1/250) at 4°C for 10 hours. 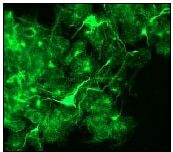 An undiluted Alexa Fluor® 555-conjugated anti-rabbit IgG polyclonal was used as the secondary antibody. 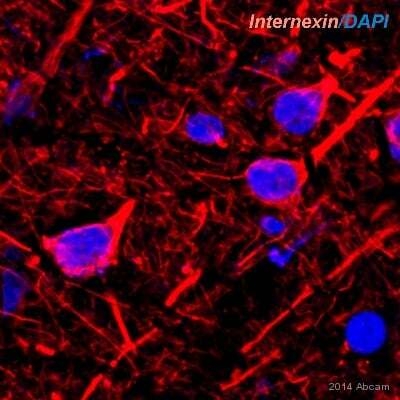 Positive staining of alpha Internexin on paraffin-embedded human brain tissue (A) using ab40758 diluited 1:250. Negative staining of paraffin-embedded human colon (B), Kidney (C) and uterus (D) tissues using ab40758 under the same conditions. 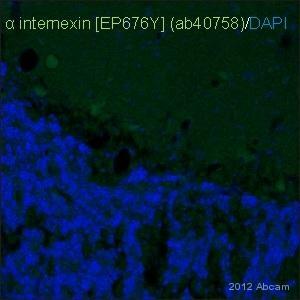 ab40758 staining alpha Internexin in rat glial cells by ICC/IF (Immunocytochemistry/immunofluorescence). Cells were fixed with paraformaldehyde, permeabilized with saponin and blocked with 1% BSA for 10 minutes at 25°C. Samples were incubated with primary antibody (1/200) for 10 hours at 4°C. 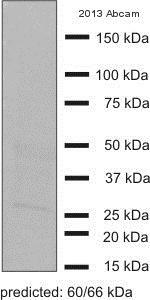 An undiluted Alexa Fluor® 594-conjugated donkey anti-rabbit IgG polyclonal was used as the secondary antibody. Immunofluorescent staining of alpha Internexin on PC 12 cells using ab40758 diluted 1:250. Publishing research using ab40758? Please let us know so that we can cite the reference in this datasheet. I am very pleased to hear you would like to accept our offer and test the above antivbodies in Apteronotus leptorhynchus. 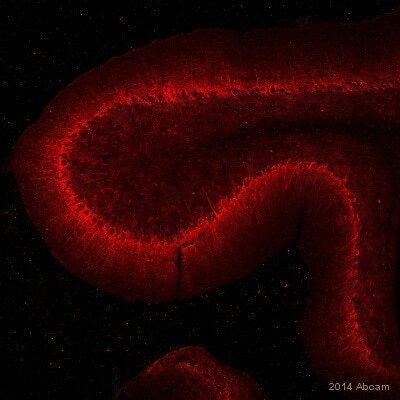 This code will give you 1 free primary antibody before the expiration date for each code. To redeem this offer, please submit an Abreview for Apteronotus leptorhynchus and include this code in the “Additional Comments” section so we know the Abreview is for this promotion. For more information on how to submit an Abreview, please visit the site: www.abcam.com/Abreviews.